Home › Easter › What Was Jesus Thinking? Like many other Jews of the day, Jesus was traveling to Jerusalem to celebrate Passover, that great tradition of feasts recognizing the rescue and deliverance of the Hebrews from Egyptian slavery some 1,500 years earlier. It was to be his last week of life. It was fairly eventful. His behavior was significantly odd and noteworthy. Makes one pause and wonder if Jesus really knew what he was doing or was just making it up as he went along. Notably, he’s been considered a fraud, a self-deluded teacher, or God in the flesh. It’s got to be one or another. But what was Jesus thinking that last week? For several months prior, Jesus had left his northern hometown region of Galilee and had traveled south through Samaria toward Jerusalem. He had stayed in and around Judea, the region of which Jerusalem was the shining city on the hill. As Lazarus lived in Bethany, less than 2 miles outside Jerusalem, this final action is the reason that the crowds were so enthralled and singing praises for the “coming King” on “Palm Sunday.” It also was the final incident that moved the High Priest, Caiaphas, and the Jewish Sanhedrin (city ruling council) to plan to kill Jesus out of fear of trouble with Rome. While those around him did not yet understand his mission, Jesus did. He calls out “woes” upon the Pharisees (Matthew 23:1-12, Mark 12:38-40, Luke 20:45-47) in a brutal indictment of the ultimate hypocritical religious establishment. He predicts the destruction of the Holy Temple in Jerusalem in a stunning foreshadowing that proved so accurate 40 years later. (Matthew 24:1-25, Mark 13, Luke 21). What was he thinking? We only know now from the Word of God and the explosion of Christianity that burst forth on a confused and profoundly broken world. No, Jesus knew exactly what He was doing. He was brilliant actually. Why should we be surprised? He certainly wasn’t a normal man. His wisdom, cunning, courage, love, and over-riding purpose as the fulfillment of the Holy Scriptures does make for the greatest life ever lived. 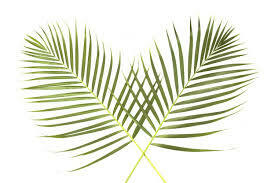 We should all consider how we would have reacted on that first “Palm Sunday.” What would we have been thinking? What are we thinking today? Do you acknowledge Jesus for who He was and is?